Headphone maker Beats Electronics is purchasing music subscription service MOG, according to multiple sources familiar with the deal. But the deal hasn’t closed yet. 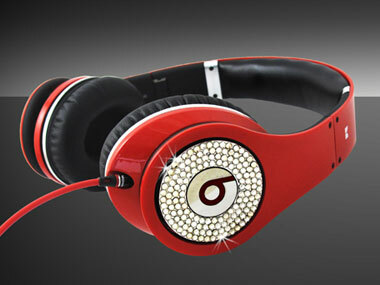 Beats’ majority owner is HTC, the Taiwanese cellphone maker, which put $300 million into the company last year. MOG is one of several subscription music services that have cropped up in the last year, most of which offer some combination of free music and a paid version that works on mobile phones like iPhones and Android handsets. With the notable exception of Spotify, most of them have struggled to gain much traction. MOG CEO David Hyman has told reporters that MOG has 500,000 active users, but he also told reporters last month that MOG was not trying to sell itself. MOG’s most recent push to acquire users has been through Facebook and its “frictionless sharing” program, which is supposed to help digital services acquire users. Facebook-data tracker AppData says that MOG has 130,000 people using the service via Facebook at least once a month, though it’s possible that Hyman has several thousand other users that he’s acquired outside of the social network. Business Insider reported MOG’s sales talks yesterday. I don’t have a price on the transaction, and I’ll be very curious to see where it ended up. MOG raised a reported $25 million over the course of its corporate history, and $15 million in the last few years, as it bolted a music service onto an ad network, its original business. Last spring, it went looking for another $25 million to $30 million, and apparently ended up with this deal instead. I’m assuming that Beats and HTC aren’t very interested in running a Web-based advertising network, so the real business they’re buying here is the music service. The subscriber base won’t be material, say people who have looked at the MOG deal recently — instead, Beats’ main interest will be in MOG’s deals with the major music labels, and the front end of the music service it has built. If Beats wanted to hammer out those deals and build that service on its own, it could certainly do that (particularly since Jimmy Iovine, the powerful Universal Music Group executive/producer, is a Beats investor, along with Dr. Dre, whose name graces the product itself). But buying MOG will save it time. How much is that time worth?